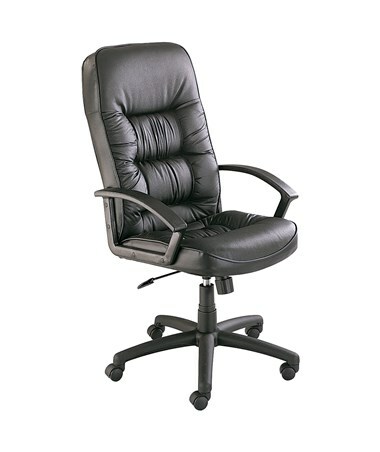 The Safco Serenity High Back Executive Chair is a large office chair with an extra-high 30-inch backrest and a generous padding on the seat and back for maximum comfort. It also features a 250 pounds capacity and integrated loop arms to provide added relaxation. 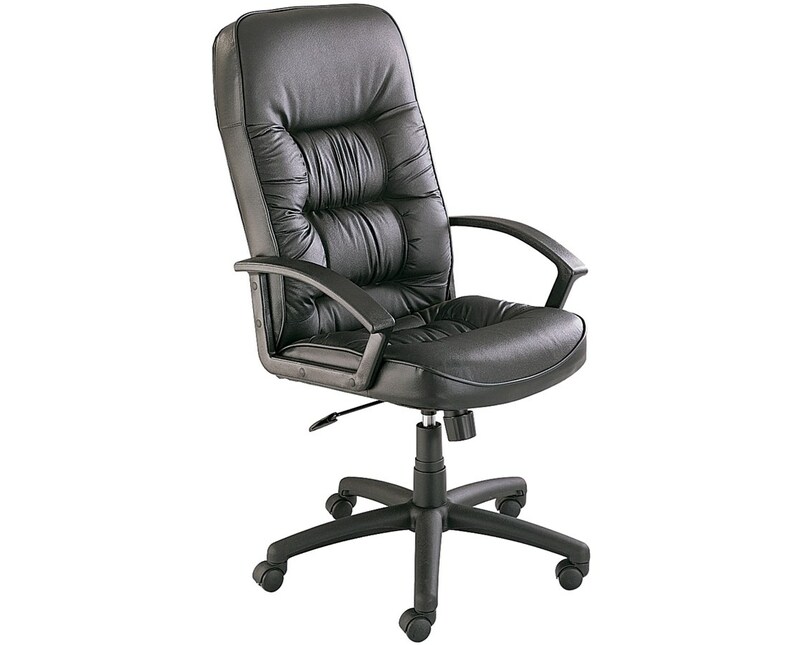 This task chair has a rocking mechanism with easily adjustable tilt tension, which can be stabilized with the tilt lock. The seat swivels a full 360 degrees and its height can be adjusted from 17 to 21 inches using the pneumatic control lever. The base is a 26-inches diameter heavy-duty five-star with two-inch dual wheel hooded carpet casters. This chair is steel and nylon constructed with cushioned seat and back that are upholstered in recycled leather. It has a rolled piping design for a stylish look. This executive chair is safe for indoor use as certified by GREENGUARD and meets the ANSI/BIFMA industry safety standards.